We are the new owners of Moose, one of Ada’s litter mates and were inspired by your blog to write one also! We like Princess Ada Banana for her name. Elizabeth & Lewis: Very clever :) it took us quite a while to get that one. Colina’s Wee Ada Meringue – or perhaps Ada Marshmallow. Colina’s Wee Hava Marshmallow (or Meringue). Colina’s Wee MacPup Ada Macaroon. It’s got the Mac, the Pup (Dan – can we say “pup” on this, or do you prefer “Pyoop”? ), the Wee and oon (from her grampa Pan) and of course the macaroon – fluffy white with toasty bits. PS – Grandad says “Wee” is spelled “Wii”. 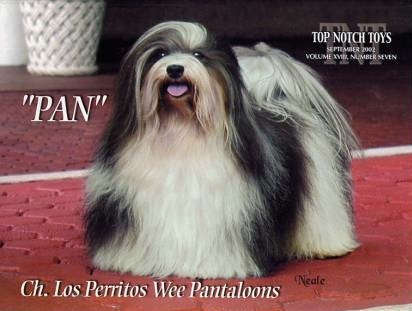 Actually I had a few questions about Colina Havanese. It would be great if you can mail me.